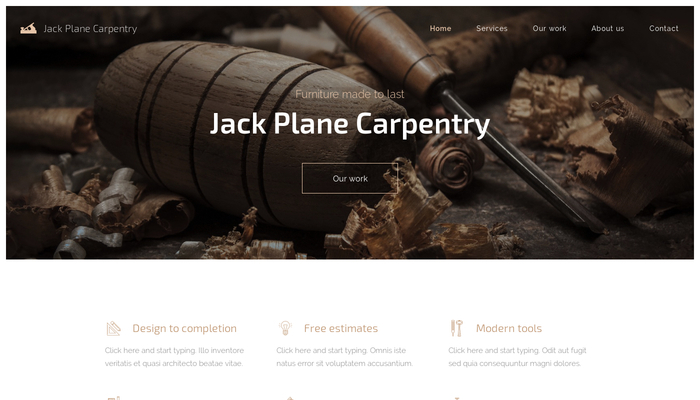 With this template you can easily craft a perfect website for your carpentering business. Earthy colors and eye-catching icons well complement galleries showcasing your woodwork. Testimonials from satisfied clients and a clearly visible phone number invite visitors to give you a call. 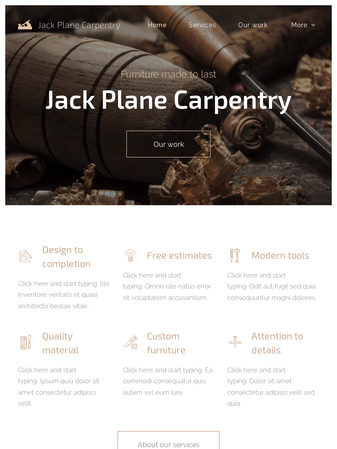 This template has everything a skilled professional might need to promote his business.